On the hunt for a new Diesel Pusher, Toy Hauler, or even a Sea Doo Spark? Look no further than the 1588 new vehicles for sale at Dennis Dillon RV Marine Powersports, serving drivers from our Boise, ID and Westminster, CA locations. Whether you’re looking for an RV to full-time, or you’re looking for a ski-doo to hit the waters on the West Coast, you can rely on Dennis Dillon RV Marine Powersports for a vast inventory of new RVs, marine vehicles, and powersports vehicles. Explore our inventory below before you pick up your next vehicle from us today. 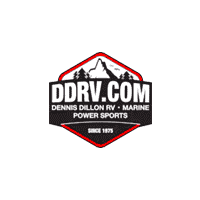 Why Choose Dennis Dillon RV Marine Powersports? There are plenty of reasons to choose Dennis Dillon RV Marine Powersports. For one, we’ve been family-owned and operated for over 45 years, serving drivers from coast to coast. It’s clear: We know what a quality and timely customer experience is like. Plus, if you’ve found an RV, powersport, or marine vehicle from one of our locations, our 24 hour inventory transfer will allow you to pick up your next vehicle in a timely manner. Ready to vacation in style? Simply contact us today to get started!